As Apple continues to push digital sales and services into international markets, a report on Friday claims the company is mulling an expansion into Vietnam that would see the creation of a $1 billion database center and R&D facility. 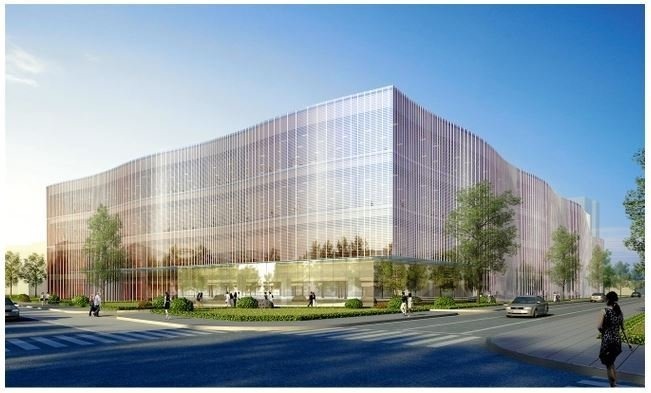 Rendering of Apple's R&D facility in Yokohama, Japan. Apple's apparent interest in Da Nang province reportedly came up in the minutes of a local government meeting concerning foreign direct investment earlier this week, reports BizLive. Following initial reports, mention of Apple's supposed involvement was expunged from the official record. According to the local reports, Apple was in March rumored to be weighing the benefits of building a $1 billion Asia-focused database center in Vietnam. The facility might also double as a research and development center, though it is unclear what technologies Apple plans to investigate at the location. At Apple's Israel R&D center, for example, employees focus on memory and computer chip technology, while an upcoming office in Yokohama, Japan, is said to specialize in the automotive and health industries. As for Vietnam, Apple last October established a subsidiary, Apple Vietnam LLC, in Ho Chi Minh City under Gene Daniel Levoff, VP of corporate law and director of Apple Operations International. Levoff has been attached to previous international purchases, including last year's assignment of UK music tracking startup Semetric. Finally, today's report cites a local headhunting firm as saying Apple is looking for an iPhone distribution director and iOS retail director to serve the Vietnam region, sparking hopes that an official retail presence might soon materialize in the country.